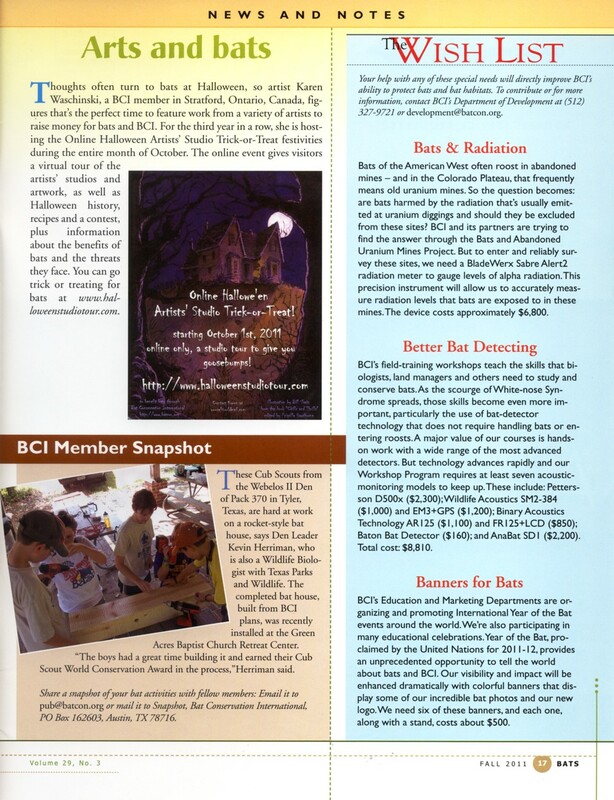 We are in the Fall issue of BATS magazine! This issue came out in good time to show off our gorgeous poster and bring attention to our tour from the bat-loving community! We had some excellent advertisting this year (all free), no wonder our statistics soared!